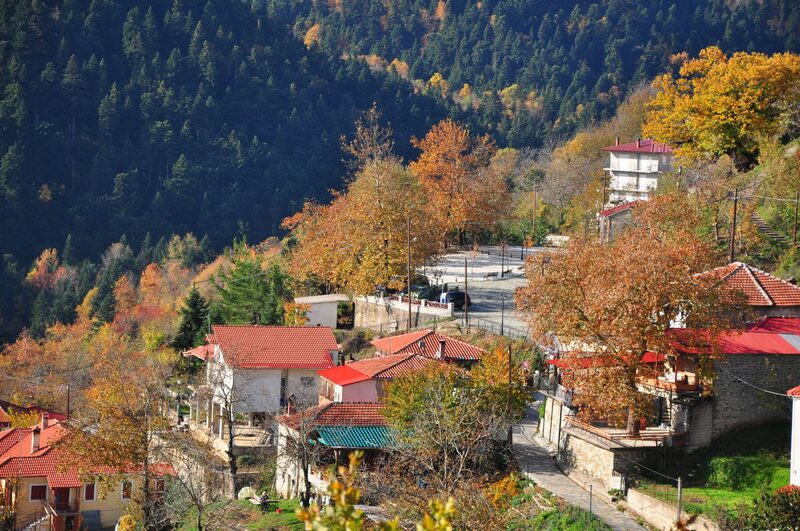 Filakti is the hometown of the warrior Apostolaras (who was the Karaiskakis’s henchman), during the Ottoman occupation. 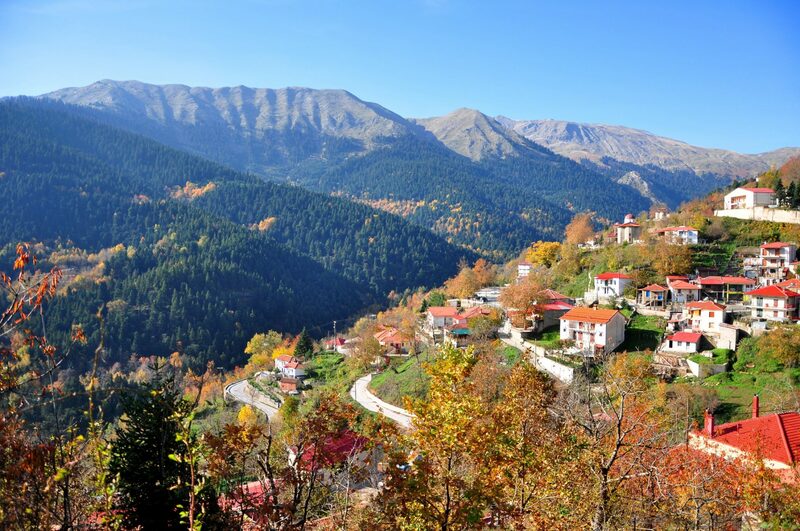 It is perched on the northern slope of the “Big River”, and offers a unique view to a beautiful pine forest and from some positions to the imposing peaks of Agrafa that are named “Voutsikaki” and “Moutsiara”. 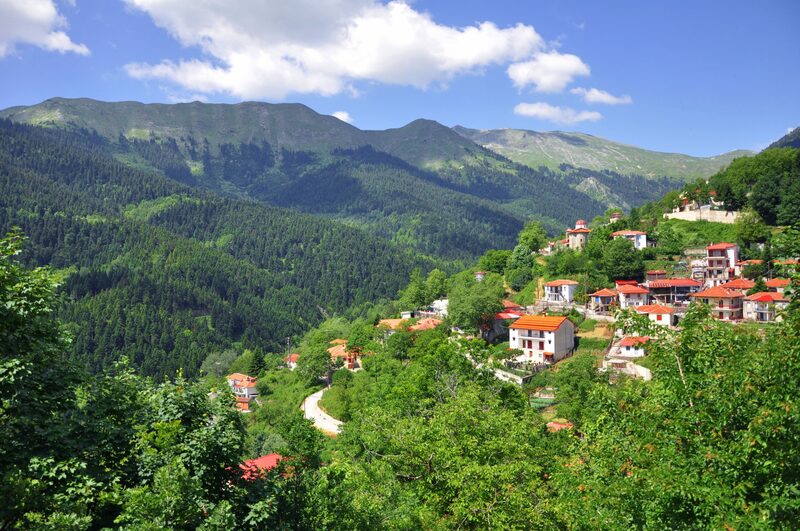 It is located at an altitude of 1200 m. and it is a beautiful village. Its square is notable. It consists of a glade, “Paliopyrgos” and the shops which are clustered under the trees are planted at two consecutive plateaus. We can make some trips to St. John by walking from the village, where the view of the lake is spectacular. You can also reach the fountain of Cassandra, the waters of which is frosted, and the top of the Prophet Elijah’s hill. Furthermore we can get down to the river and to the watermill and mount on the opposite side with the firs. For longer trips we can mount to the hill Gavel or visit the villages of eastern Argithea. 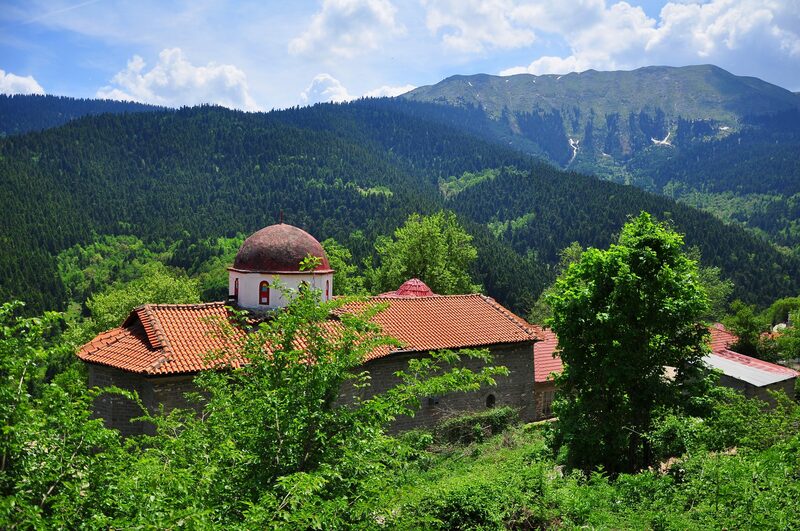 The Monastery of the Holy Trinity (17th c.) with its triconch church that is saved with narthex on the west side and an external portico, a carved iconostasis of 1852 and remarkable frescoes of the 17th century on the sanctuary is the pride of the village. 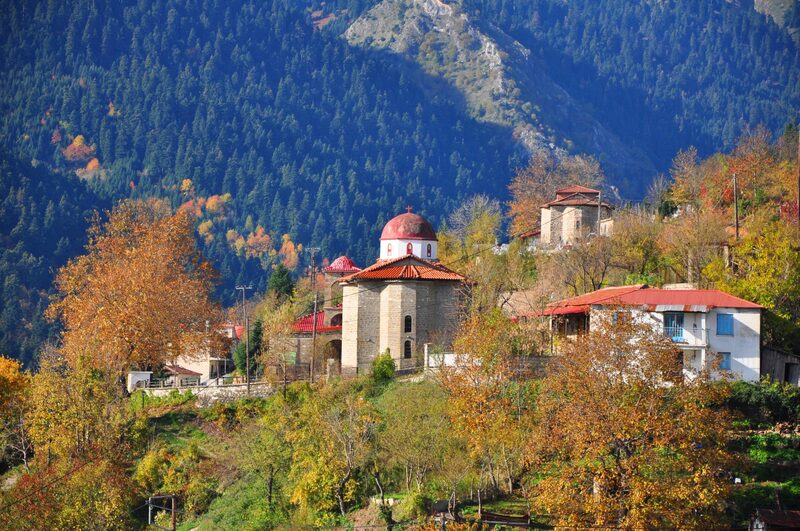 Other notable churches in the village that can be visited is St. George in the center of the village dating back to the Byzantine era, the church of St. John which was built in 1969-1970 and it has its historic image. 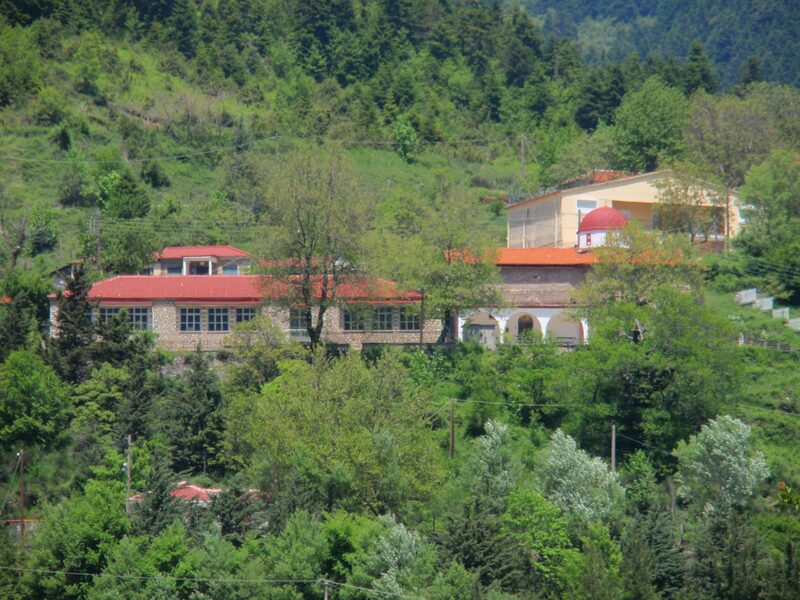 The history of the village is placed before the Byzantine period. Its previous position was at “Ag. Apostles” and it was called Great Pouliana. Due to an illness the residents moved to its present location where are located the monasteries of St. Trinity and St. George. 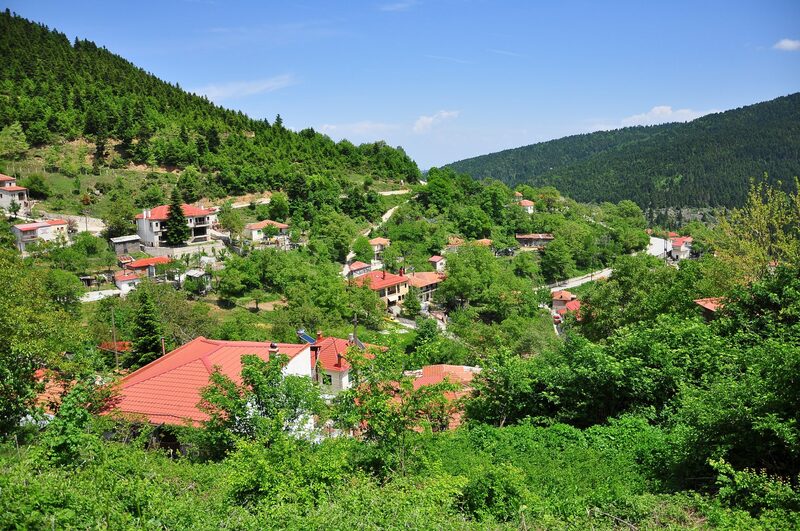 They named the village Sermenikon because of the illness (Shermi) and then in 1928 it took its present name Filakti because the village was saved of the illness. 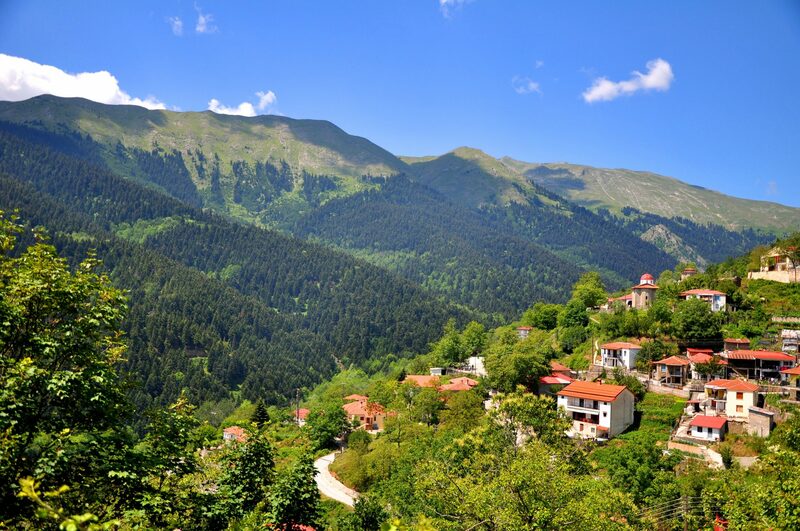 On the road from Pezoula to Filakti, we pass over the old stone bridge and will meet the stone fountains Papadeiki Limbo, Kasandra and Xirovrisi at the village and the fountain Nine Waters at the forest. 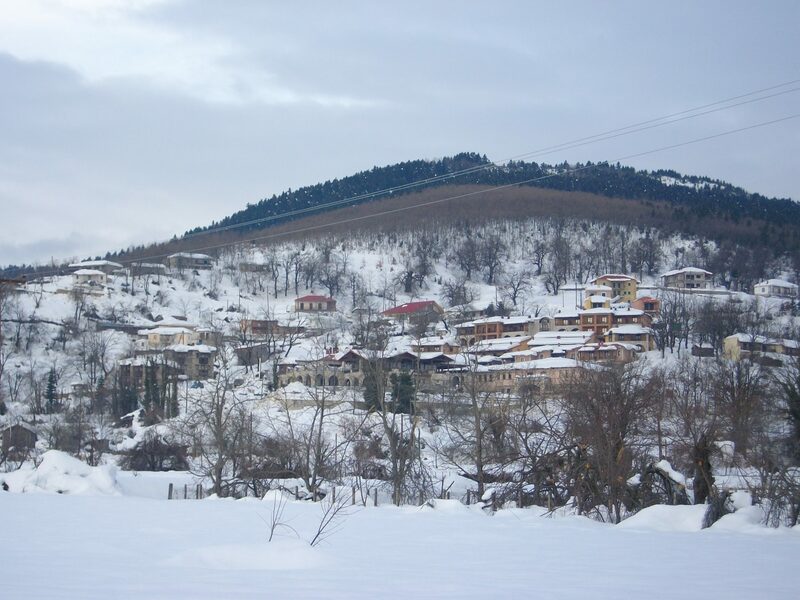 During the winter the residents of Filakti are 50 people and of Kalivia are 30. However their number during the summer months is 800 people due to the arrival of visitors and vacationers. The occupations of its residents, as in the most of the villages are agriculture (vegetables, potatoes, beans, corn, nuts) and livestock (sheep). 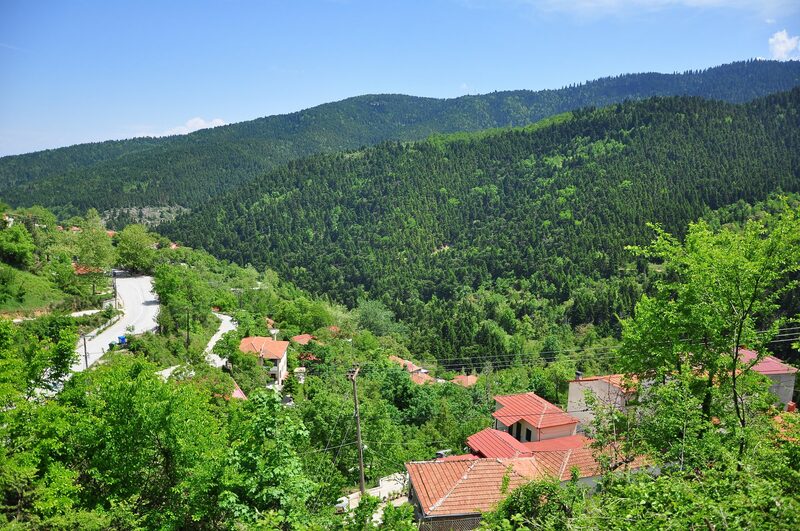 The pine forest of Elati is impressive. It is about 8.000 acres and it is placed opposite the village. From the surrounding peaks (Voutsikaki 2.154 m, Petralona 1.300 m, 1.600 Tsoukarela. 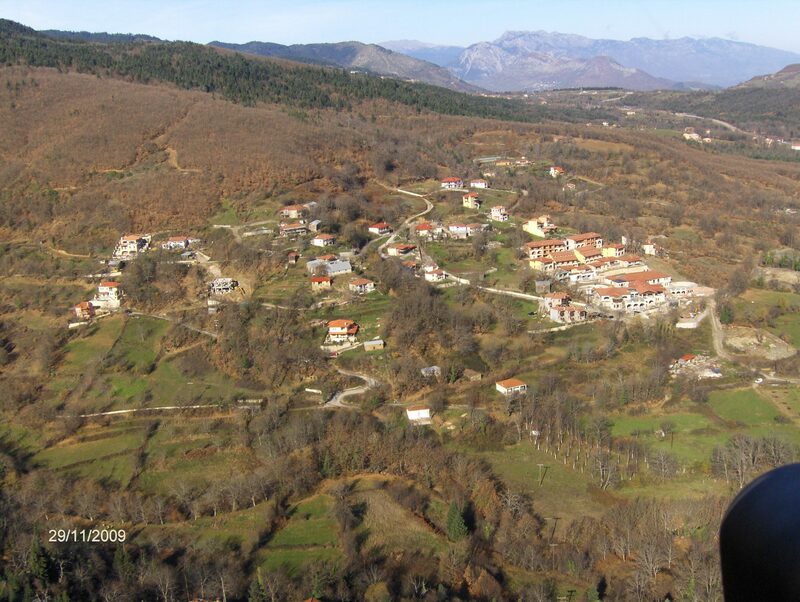 Kafka 1.800 m) the view of the Thessalian plain and of Epirus is unique. The flora consists of firs, oaks and cedars and there live rabbits, wolves, deers and grouses. 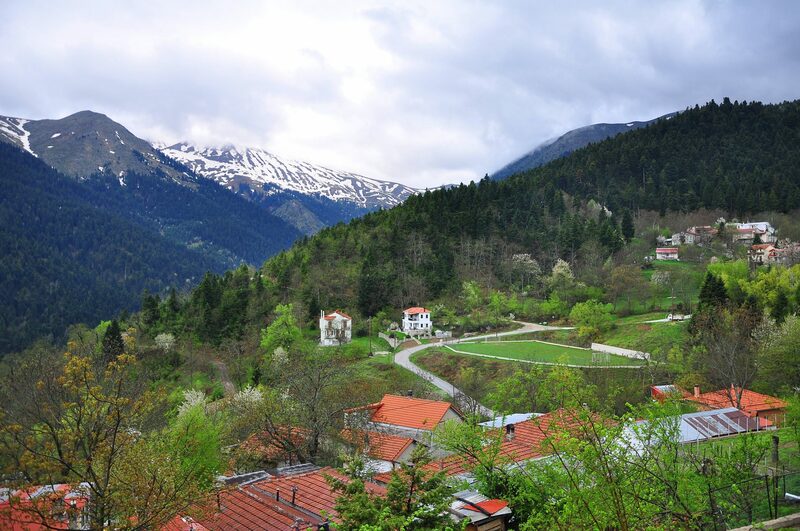 The river Megdovas springs from Voutsikaki and it flows into the Plastiras lake. On the 2nd day of Easter the residents gather at the churchyard of St. George where they sing and dance with local folk music. The festival on the 20th of July at the feast of the Prophet Elijah, is conducted in the same named chapel, where a feast takes place after the thanksgiving. Every year on the 15th of August at the square of the village a three-day cultural event is organized by the Filacti Association. Before the creation of the lake the residents of the community of Filakti were working in the fields of Nevropoli and they were maintaining here their huts, which were one-room makeshift constructions of reeds and mud where they used to store agricultural products and tools. 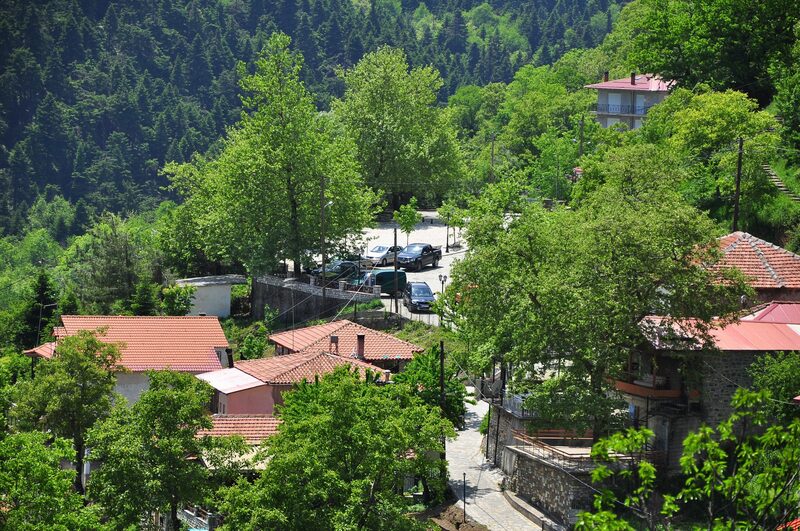 The settlement of Kalivia Filaktis, climbs on the mountain and a steep paved alley connects it to Filakti and to St. John.